Guangzhou, otherwise known in the West as Canton, is the capital of the Guangdong Province in the south of People’s Republic of China. And just like its neighbour from the northwest, Hong Kong, Guangzhou has been groomed to rise as a cosmopolitan city. With a population of 12, 385, 000 people, expats who relocate to Guangzhou will find plenty to see and do within its districts. The city is now a home to the most number of restaurants per capita in China and a sought-after destination for one of the eight renowned cuisines, so no expat can ever skip a lunch break over a workload again. Its urban land area makes it the third largest city, next to Beijing and Shanghai, respectively. More so, Guangzhou is the third most populated urban area in China. Expats may not sing praises about its consistent traffic congestion, smog-tinted skies, and disability-unfriendly surroundings but underneath this modern façade lays the elegance of the old China. Guangzhou will eventually grow on you. The adoption of "open door" economic policy in 1978 paved the way for the province's success in export businesses for computers, clothing and household products. All Guangzhou districts have something to boast about. Yuexiu is considered the commercial, financial, and political centre; both provincial and municipal government offices can be found here. Huangpu, also known as Whampoo, houses the "Marine Silk-road" and China's pioneer military academy. Liwan continues to be Guangzhou's trading port since the Qing Dynasty. Other districts like Tianhe take pride in being named one of the 10 most vital software manufacturing areas in China and its 56 institutions of higher learning, Haizhu connects travelers to the 14 bridges, Baiyun functions as a transportation hub with its 6 out of 10 land exits in the province, Luogang being tapped to be the administrative center to work on culture, sports, residence and retail support facilities, Nansha is being turned by the government into the next Shenzhen. But their key economic areas include Panyu with over 3,000 foreign companies such as Siemens, General Electric, Mitsubishi, Panasonic, Hitachi, among others, Conghua, which is thriving to be Guangzhou's niche for advanced technology and green ecology industries; and Zengcheng, which immensely stable with the ever flourishing automobile, motorcycle and textile companies. 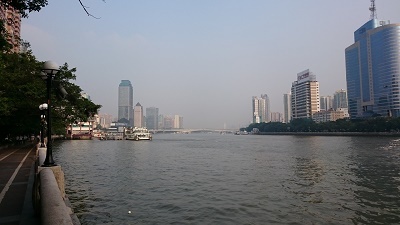 Visitors and expats will experience a humid subtropical climate in Guangzhou, which explains the high heat index during summer and dryness in winter. Expats can leave winter clothes behind and fill bags with comfortable outfits for after-work or weekend strides in the crowded streets. Most Western items you are accustomed to back home are most likely available in Guangzhou, but you might as well bring any irreplaceable brands. Mobile phones would be necessary for conducting business. Imitation phones are quite rampant so you may want to either purchase quad-band phone back home or buy one in Hong Kong. SIM cards are sold at the nearest convenience store. Bringing animals to Guangzhou proves to be stressful for some expats, as is the task of locating quality veterinarians and pet sitters. Most expats with family find their stay satisfactory as the availability and affordable services of ayi (household help) allow them to pursue other desires and explore more of the city. On the other hand, a number of single expats often resort to Hong Kong or other Asian destinations for more attractions when boredom sets in. But that does not mean you have to leave your sense of adventure behind. It cannot be stated enough how Guangzhou offers a glimpse of the glorious days in China and a preview of their astounding futures. Guangzhou is the heart of Guangdong Province situated on the eastern coast of China. Though not as popular as Shanghai and Beijing, you will soon discover that this city has unique riches of its own. Thousands of expats like you have found their ways to Guangzhou because of its dynamic and fast progressing economy which are evident in the cosmopolitan’s skyscrapers and state of the art infrastructures. But despite its evident approach towards modernisation, Guangzhou managed to preserve its rich history which you can see in the ancient temples and beautiful botanical gardens. If you have made up your mind to start a life in South China’s most economically important cities, here are a few tips to help you out. One of the top of your checklist is to find a place to live. It will be helpful for you to do some research a few weeks before you arrive by browsing through websites that post real estate properties in Guangzhou which will give you some idea about the city’s housing market. Most landlords speak Mandarin, so if you are not fluent, it's best that you hire local real estate agents. Aside from helping you communicate, they are also very familiar with the neighbourhoods which will make your search faster. In Guangzhou, the landlords do not include the utilities in your rental pay. You will hand them your payment for your essential services like water, gas and electricity which is around €50 per month and they will be the one to give your payment to the utility company. Other services like an unlimited connection can cost around €15 monthly and local mobile (prepaid) calls are charged €0.05 per minute. There are many types of accommodations in Guangzhou where you can choose between short term and long term rental agreement. Most rentals are unfurnished, but if you have a bigger budget, you can opt for the furnished serviced apartments. A huge majority of expats are living in apartment buildings in the metropolitan where they are close to the work area. The price of a one-bedroom apartment in the city centre starts at €620 per month and €1100 for a three bedroom unit. You can also find accommodations in quieter surrounding districts like Haizhu where a one bedroom flat is usually €350 monthly, and a three bedroom unit is around €650 per month. Employers that relocate expats usually reserve slots for their children in international schools since placement can be tough. If the company you’re working for do not cover this type of benefit, you should start enlisting your child as early as possible because there is a long waitlist. 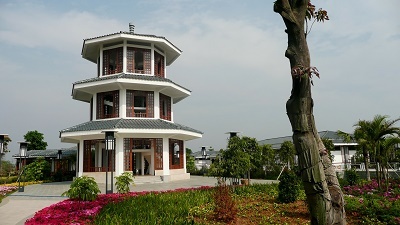 One of the prominent institutions that are equipped with the International Baccalaureate Program (IB) is the American International School of Guangzhou (AISG). Local schools in the city normally have 60-hours a week, not including the time allotted for the children’s extracurricular activities. But despite the long hours, Chinese pride themselves on putting much emphasis on learning by handwork and discipline. The Guangzhou University is highly regarded state institution which has been providing quality education since 2000. It typically takes up to 47 days for your belongings to reach the Port of Guangzhou where local customs officials conduct an inspection. You can hire international shipping and removal companies to assist you in the moving process since they provide door to door services where they will overlook the delivery until you receive your packages to your new address. For further knowledge about Guangzhou’s import regulations, click here. Depending on your country of origin, there is a mandatory 7-30 days quarantine period for all animals entering the city. Your pet is not required to be microchipped, but you need to present its original Rabies Vaccination Certificate stating that the vaccination was given at least a month and not more than a year before its import. Other documents that you need to prepare are the Veterinary Certificate for China endorsed by your local government and your passport which matches the name of the pet’s owner in the certificates. You can expect a rare balance of an upbeat and laid back lifestyle once you arrive in Guangzhou. Large supermarkets and shopping malls in the cosmopolitan are surrounded by scenic outdoor views in the outskirts. Living in Guangzhou lets you glide with modernisation without taking you away from the arms of Mother Nature. Since it was founded in 214 BC, Guangzhou has been a significant centre for trading and cultural exchanges. This city is the perfect destination for foreign nationals who want to understand what shapes modern China while living amidst a beautiful contrast of traditional Chinese architectures and towering skyscrapers. The south gate of China is also the third-largest city in the country next to Beijing and Shanghai. It is the industrial capital of the country and is the capital city of the Guangdong province. Guangzhou’s ancient name was Canton or City of Flowers. Expatriates who wish to live in the city would be prosperous on the commerce, dining, finance, tourism and real estate industries. Aside from these, the city is also the port to the Pearl River to the South China Sea. Many expats have been exploring the majestic Guangzhou for various reasons. Some of the top destinations in Guangzhou are the Five Ram Statue in Yuexiu Park, the Pearl River and White Cloud Mountain. Some expats living in the City of Flowers are mostly for business but taking the kids with them would not be a problem since it is home to various safari, water and amusement parks which they can explore. Children who undeniably love to see Giant Pandas and white tigers may visit the Chimelong Safari Park. Kids may also want to spend an hour or two at the Chimelong International Circus where there are over 300 performers and breath-taking fireworks to see. Though there are many large shopping malls in Guangzhou, the street markets are still the best places to start knowing the city’s culture. From clothes, accessories, flowers, pets, toys, electronics to fresh produce and everything in between, Guangzhou’s street markets have it all. Expats will find lots of great finds in bargain prices whereas most of the products in the stalls came from local farmers and producers. 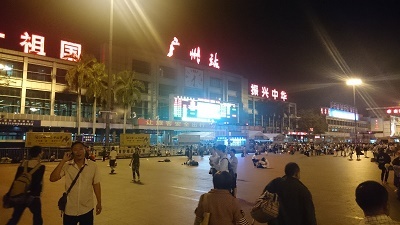 Two of the most popular street markets in Guangzhou are the Qingping Market located in the North of Shamian Island and the Shangxiajiu Pedestrian Street which is referred by the international community as the “up down nine street”. One of the best things about living in Guangzhou is that there is a wide variety of public transportation when travelling around the city. Being one of the cosmopolitan cities in China, the city has an established public transport system and is always adapting to its growing population. For public transportation, all must have a Yang Cheng Tong Card. It is a public transport card which gives them access to almost all of the transportation in the city including buses, trains, ferries, taxis and subways. Guangzhou is well known for the comprehensive, high level and large-scale trade fair – Canton Fair. As a commercial city of China, expatriates must understand that the city means business. Foreigners who will frequently need a bank for foreign exchange needs and remittance of money overseas may open an account in any banks of Guangzhou given that they have a tax payment certificate and all the supporting documents. Some of the banks found in the city include the Bank of China, Guangdong Development Bank and Guangzhou Branch of BNP Paribas. There are two languages spoken in Guangzhou – Cantonese and Standard Mandarin. Conversing with the locals might be the biggest hurdle for expats. The majority of the settlers of Guangzhou speak little English plus most of their road signs and symbols are written in Cantonese or Standard Mandarin too. To overcome culture shock, foreigners may look for fellow expats living in the city. The city has been known for its growing African population which foreigners may immerse with to adapt to the Guangzhou living. According to a Legend, an Emperor in the Tang Dynasty commanded two generals to guard his door while he sleeps: General Qin Qiong (pale skin) and General Yuchi Jingde (dark skin). The two generals were able to prevent the evil spirits from disturbing the Emperor. But to avoid having the two men stand at his doorstep every single night, the Emperor had their faces painted on the doors. Because of that legend, expats relocating to Guangzhou will also notice that houses and temples have door gods painted in pairs at the entrance.